Okay, so the sight of three small, corroded lumps of metal might not initially excite you, but hopefully this blog will demonstrate how this choice of material for jewellery represents something remarkable. These beads are made from iron-rich meteorites that fell to earth 5,000 years ago. It is important to note this source of iron pre-dates iron smelting technology by 2,000 years. Pre-dynastic communities in this period did not have the technology required to achieve the necessary high temperature to produce iron. 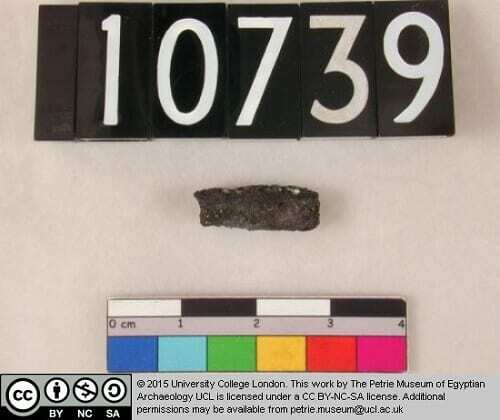 This material would have appeared strange and rare to people living in Egypt. 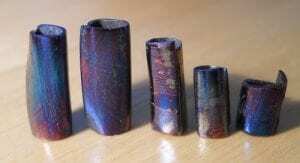 Someone took the time to collect this brittle material, heat and hammer it until it was a millimetre thick and then carefully rolled it into beads. 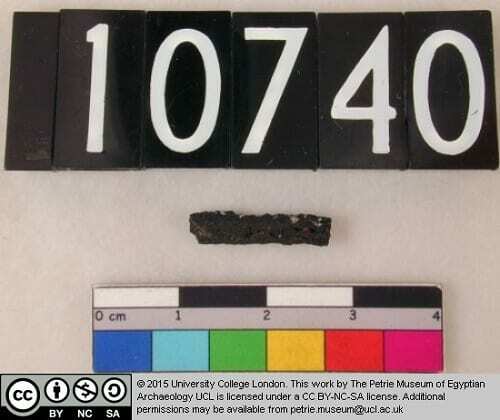 These are, in fact, the oldest known worked iron items in the world… Let that sink in . The production and shaping of iron is essential in our modern lives for so many items and services. The truth is out there, it’s been discovered and people need to know… this is the world’s first and it came from outer space! These three beads were discovered within one burial (Tomb 67), alongside another burial (Tomb 133) which contained a further 6 meteorite beads, all dating to 3,400-3,100BCE . The burials were in a cemetery near the current village of el-Gerzeh, 40 miles south of Cairo, in Egypt, and they were excavated by the archaeologist Gerald Wainwright between 1911 and 1912. The meteoritic beads were also found with other beads made of gold, lapis lazuli and carnelian, plus hippopotamus ivory, a copper harpoon, a lime stone mace head and a pallet in the shape of a fish. These items were unusual and rare. 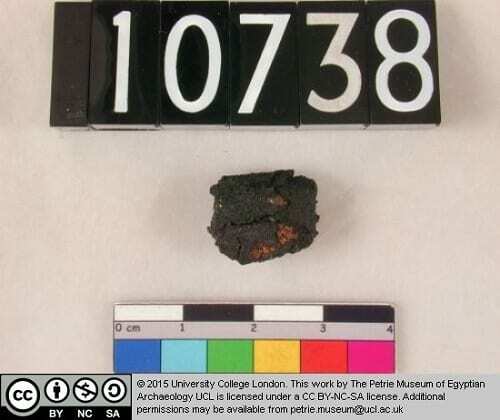 When these beads were discovered, it was assumed the source of the iron was from meteorites. This bold assumption was not conclusively proved until 2013 through the use of Neutron and X-ray imaging by a team led by Thilo Rehren at UCL. Dr Diane Johnson of the Open University, has shed further light on the potential appearance of these beads through experimental archaeology. Diane heated meteorite iron and followed the stages we believe were involved in their manufacture. The appearance is both shiny and iridescent. The story of these beads shows how the Petrie Museum collection, time and again, provides new insight into past communities and technologies as researchers develop new techniques and approaches. Johnson, D.; Grady, M. M. and Tyldesley, J. (2011). Gerzeh, a prehistoric Egyptian meteorite. Meteoritics & Planetary Science, 46(S1) A114-A114. Rehren, T. Belgya,, A. Jambon, G. Káli, Z. Kasztovszky, Z. Kis, I. Kovács, B. Maróti, M. Martinón-Torres, G. Miniaci, V. C. Pigott, M. Radivojevi, L. Rosta, L. Szentmiklósi, Z.